This weekend I was invited once again over to Melksham by Maidenhead Aquatics to demonstrate another authentic biotope aquarium set-up. On my last visit here I showed how to recreate the Rio Atabapo during the high water season and this time after consulting with the Maidenhead team about what options we could work with, I gave my suggestions and once the fish list was confirmed, I decided on a biotope aquarium based on a lake along the Rio Nanay in the dry season. 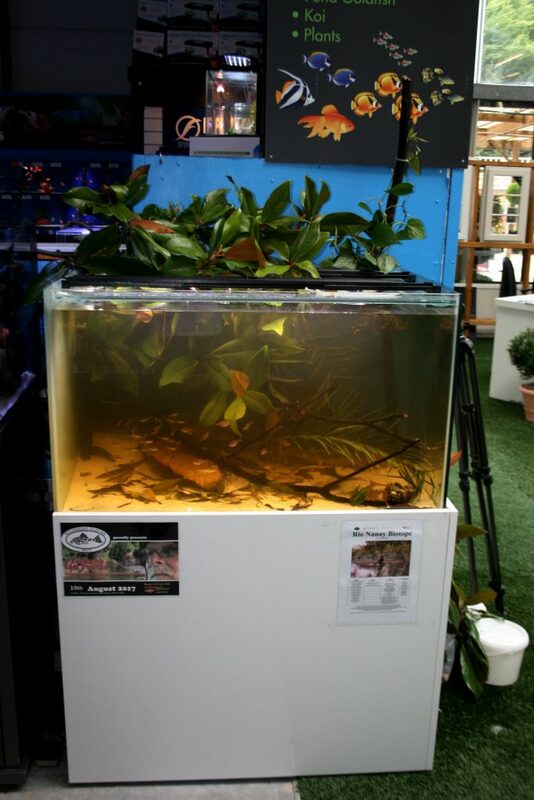 The team at Melksham went right out of their way to try and ensure we had some interesting fishes available for this demonstration and I chose some species which coexist naturally, would be happy together and which I would be able to realistically cater for given the size of the aquarium. It’s crucial in any biotope aquarium that you aim to recreate the niche of each species to really create harmony in the tank; it really promotes natural behaviours also! In any biotope aquarium, there is often a trophy species – one intended to be the focus of attention. In this case, it was a small group of wild “Green” Discus fish Symphysodon aequifasciatus. The history of the discus fish from the Rio Nanay is quite interesting since the population are supposedly not a naturally occurring one, but one which was accidentally (or not) introduced approximately thirty years or so ago – probably by exporters who did not want to travel such huge distances to collect them). Now for any biotope aquarium set up, I tend to follow a specific set of protocols which help me to really get organised and ensure the tank is especially accurate. One of the most important processes is the research beforehand and for this particular set up I wanted to try to take the observer on an imaginative journey. I included a good variety of different leaf litter, each type telling the story of a different tree and its relationship to this habitat. 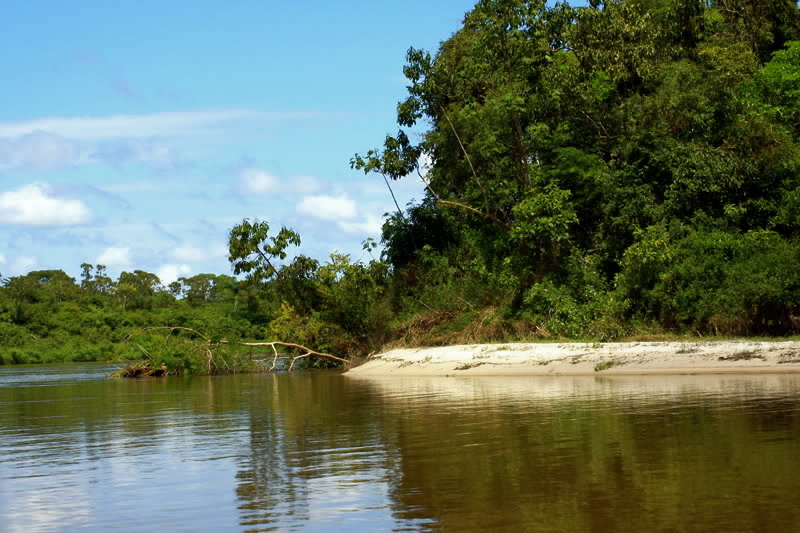 I guess my main aim is to try to convey everything I’ve seen and felt in the amazon through these recreations in the hope to inspire others to feel the same. 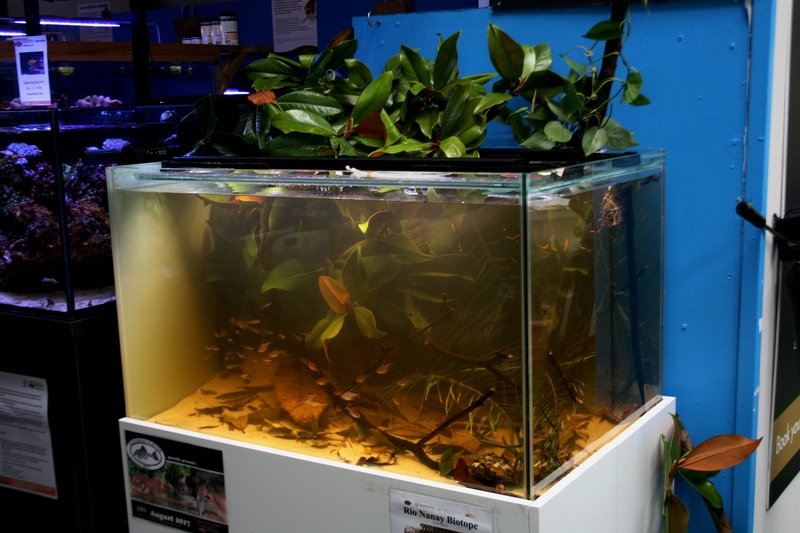 One extremely useful resource for this biotope aquarium was the field guide from the Field Museum entitled “Plantas comunes de la Tahuampa del Rio Nanay” which translates to “Common plants of the seasonally flooded forests of the Rio Nanay”. Using this document and some of my own observations I could easily put together a list of interesting leaf decor using some authentic and some substituted species (see table below or download Rio Nanay Biotope) Something very important to remember before experimenting with different types of leaves or decor is to determine if they are “aquarium safe”. One of the best ways to do this is to use the academic search engine Google Scholar to see what research has been done on each species you are considering. For example, if you were interested in using ‘Catappa’ leaves you could type the four words, “Terminalia” “catappa” “leaf” “toxicity” into the search to reveal what scientific research has been done and is available that you could read. Eriobotrya japonica (leaves) (Substitute for Couepia sp). The Ceiba and Persea leaves were from homegrown plants propagated by myself (the Ceiba, from seeds I collected on my last trip). The addition of genuine Amazonian leaves is always such a satisfying feeling, there is something innately comfortable about that for me which puts me at ease; some sort of anthropomorphic empathy I guess. The two types of Characids, the False Rummynose Petitella georgiae and Bleeding Heart Tetras Hyphessobrycon erythrostigma formed their own schools, while the Trachelyichthys exilis WoodCats found refuge in the dense leaf cover and the Marbled Hatchetfish Carnigiella strigata congregated in one group below the overhanging foliage. The Discus and the Biotodoma happily and naturally stayed in and out of their safe zone among the fallen branches and palm fronds under the safety of the “tree”. As I received so many requests from various friends and followers situated in other countries who couldn’t attend, I decided to experiment with a live video stream and so the set up process can be watched back via the two hour long facebook live videos below. A video showing the final look of the aquarium can also be seen a little further down too. But the most rewarding thing about this biotope was a brief moment when I observed the Biotodoma picking at the Chaemarops fruits/seeds. Being able to instigate that type of natural behaviour is an unbeatable feeling, something which doesn’t come with the average fish tank. 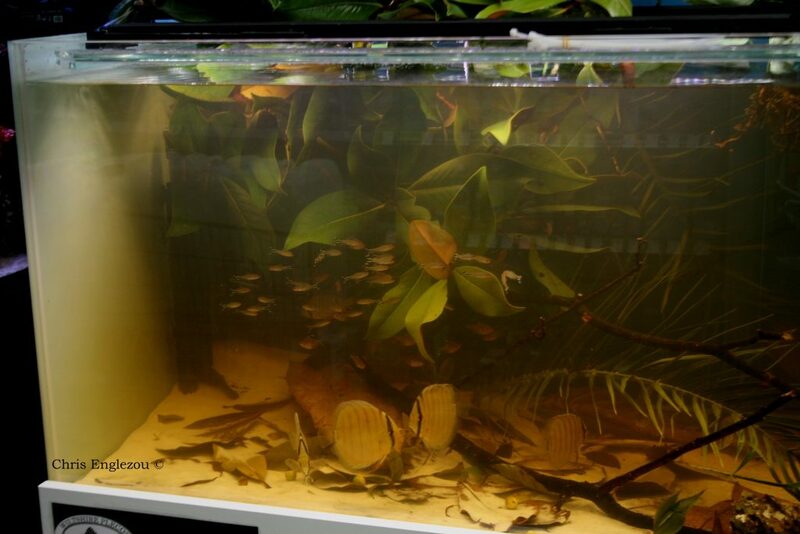 The final aquarium presents itself as a representation of the riparian zone of a blackwater lake along the Rio Nanay below the cover of overhanging Licania tree foliage, with a small number of epiphytic plants growing through the branches and rooting into the water below. Diverse leaf litter and fallen branches provide additional niche habitat for the species present and the inclusion of natural fruits as decor is probably a first. 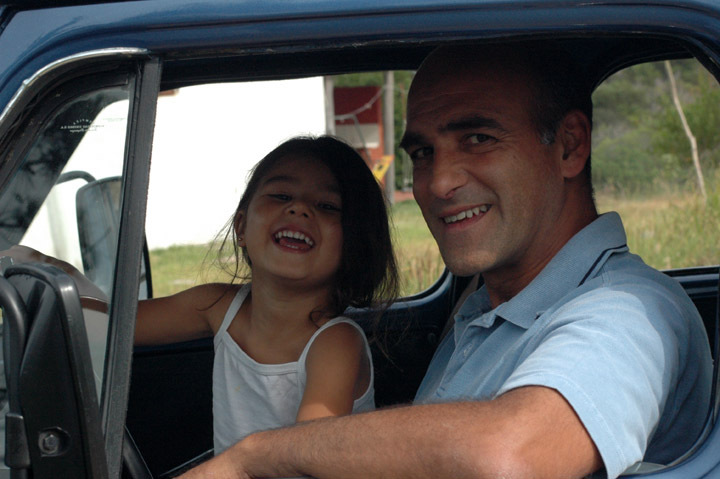 This article is dedicated in loving memory to the life of Felipe Cantera from Uruguay who sadly passed away this morning, thank you for your undeniable contribution to the world of aquatic biodiversity. I love your work! I myself made a few biotope bins but less successful than yours. Philodendron gives a great visual result. Magnolia: is it the same as those seen in gardens, here in Europe? When do you collect the leaves? Persea americana: is it the avocado? I thought the leaves were toxic? Hi Chris, very interesting about biotics of the Nany River, I think innovative and I will always support these projects, do not stop. Only really interested fish and that the middlemen earn good money this is critical.